When it comes to investing in real estate, it’s not only the house that should be considered, but also the location, neighborhood, and everything in its proximity. Buying your first home can seem overwhelming, but it doesn’t have to be. Before finalizing the exact home to buy, here are some helpful tips to determine if that home’s neighborhood is the right one for you and your family. 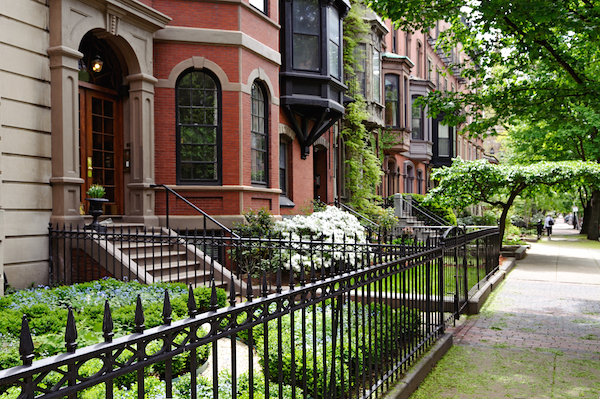 Depending on your lifestyle now, your next home may be in a neighborhood with laws that you’re completely not accustomed to. According to a recent article by real estate expert Bill Gassett, there may be restrictions on where you can park (some neighborhoods do not allow parking on the street) as well as which outdoor renovations that are allowed or prohibited on the land you own. These rules are referred to as “restrictive covenants” and can put a damper on your daily life in the new house. Learn them before you move in. Do you have easy access to your favorite hobbies? Another huge factor that comes into play is your new home’s proximity to favorite activities or hobbies. Many people tend to overlook what they’ll do in their downtime because they’re busy looking for a place that’s close to work or school. Don’t you want to live in a home that’s convenient for both business and pleasure? Having fun is just as important! Know the HOA or Property Manager. Before a decision is made, gain an understanding of the type of neighborhood you’re getting yourself into. Is it owned by a Homeowner’s Association or property manager? What are their rules? What about reviews? According to Forbes Magazine, you may be able to find reliable ratings online if it’s managed by a large company. Do your research, talk to neighbors, and read up on local news stories to determine if it’s the right neighborhood for you. If interested in a home whose neighborhood is right near a busy road, keep in mind how noisy it’ll be. There are a number of things that can cause noise around your home, such as nearby event centers, stadiums, pedestrian traffic, and crowded streets. Some people are okay with a little noise if that means they’re closer to the hustle and bustle of the city. If that’s not you, then you should probably re-think the location of your home and neighborhood. Changes in property taxes & insurance rates. It’s important to know that taxes and insurance can vary according to the area or county. Learn how your area handles taxes before you move in. Otherwise, it will come as an unpleasant surprise when you discover that you actually owe much more than expected. Living in this new area may also have an impact on your car insurance rates.